While revocable living trusts are commonly associated as the centerpiece of a client’s estate plan, a “special purpose” educational revocable trust can provide significant flexibility to clients looking to set aside funds for a child’s or grandchild’s education, but who perhaps aren’t quite ready, for whatever reason, to make a permanent gift or earmarking of the assets. A revocable education trust puts your clients in control (the trust is revocable after all) and lets them focus on the goal of legacy for their family rather than on the complexities associated with managing irrevocable trusts. While alive and well, your clients can serve as the trustee and have complete discretion about the timing and purpose of distributions, letting them tailor distributions to their family’s needs. For example, Bob and Jane set up a trust for their grandson Nick. 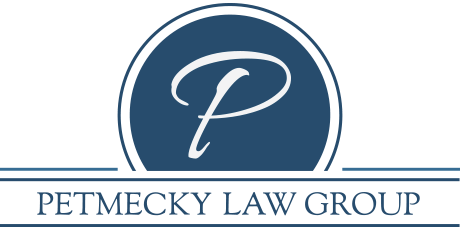 They add Nick as a permissible beneficiary and add assets each year to the trust without any gift tax consequences (because the trust is revocable, there’s no completed gift). If they choose to do so, they can share with Nick how much has been set aside, or they can choose to keep it private. If Nick doesn’t need the assets (say because of a scholarship or because he’s chosen to not pursue higher education), the assets aren’t trapped inside of an education-specific account, such as a 529 plan, and Bob and Jane can give them to Nick or use them for some other purpose by revoking or restating the trust. To that end, this type of trust can help Bob and Jane feel more comfortable about setting aside money, since they can still gain access to the assets if they need to, which can be challenging, costly, or impossible as a practical matter with some of the other options, like UTMA/UGMA, 529 plans, or irrevocable trusts. Planning Tip: While clients are still alive, this trust will be a grantor trust for federal income tax purposes, so consider income tax efficient investing strategies and a coordination of the investment strategy in this trust with the client’s overall investment strategy. While “Crummey Trusts” are commonly used to own life insurance and won’t be fully funded until after death, they can also be used as an effective lifetime gifting trust to hold funds that can be used to pay for a beneficiary’s expenses. A properly drafted “Crummey Trust” will include demand rights that allow transfers made to it to qualify as annual exclusion gifts and remove the trust assets from the trustmaker’s estate. Planning Tip: A Demand “Crummey” Trust is a flexible tool for setting aside funds to provide for the care, support and education of a child or grandchild since the parent or grandparent gets to choose exactly when and how funds will be distributed and for what purpose. College Savings Plans – These are essentially state-sponsored mutual funds. Contributions must be made in cash and must qualify for the annual gift tax and GST tax exclusions. Each beneficiary must have a separate account. Earnings grow tax-free and distributions are tax-exempt when used for higher education expenses, including tuition, fees, books, supplies, equipment, and room and board. If a beneficiary decides not to go to college or fails to finish, the donor can change the beneficiary to another family member of the same generation without any gift tax or GST tax consequences. A 529 account can be owned by a trust, providing continuity of management for trust assets (even those not used for higher educational purposes) and the possibility of greater control by your clients, although this removes the ability to pre-fund the account (more below) and may result in the loss of a state income tax deduction. Planning Tip: A non-trust-owned 529 account can be “supercharged” by funding it with up to five years of annual exclusion gifts in one year (currently $14,000 per beneficiary, or $70,000). Thus, a married couple with three grandchildren can set aside $420,000 in one year (2 x 3 x $70,000). On the downside, if the donor dies before the fifth year after funding, the gifts for the years following the year of death will be brought back into the donor’s estate. When deciding whether to fund a 529 account, you and your clients should consider whether the advantages of trust ownership outweigh the negatives. We’re here to help answer any questions you or your clients may have about trust-owned and non-trust-owned 529 accounts. Clients need to understand the impact a revocable educational trust, a 529 Plan, a UGMA or UTMA account, or Demand “Crummey” Trust will have on financial aid. In general, a student’s assets are given greater weight than the parent’s assets, so techniques that shift assets from a parent to the student may reduce needs-based financial aid. One significant potential advantage of a revocable educational trust created by a grandparent is that it probably doesn’t need to be disclosed as an asset for financial aid purposes, so long as it is revocable by the grandparents and the rights to the assets are entirely dependent on the discretion of the grandparents. As part of the educational planning process, let’s proactively work together to ensure that we’re considering all angles and recommending the best solution given the client’s circumstances. Identifying what will be the best college-saving tools for a particular client will depend on many factors, including their earnings, savings, income tax bracket, risk tolerance, their age, the ages of their children or grandchildren, and the potential for scholarships and other financial aid. Call us to discuss the various scenarios; we’re always available to help you and your clients.